Historically, some of the best examples of this innovation come from within the offices of our clients, who use the concepts and common language of Whole Brain® Thinking and apply them to the unique challenges they face every day. 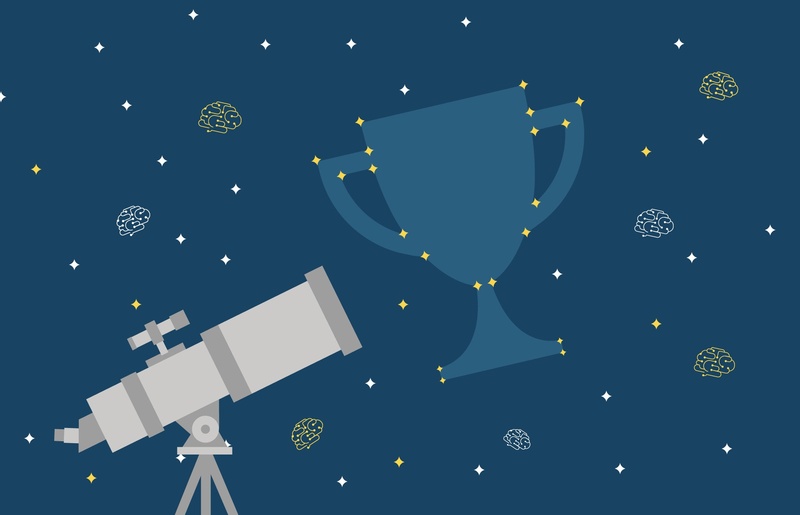 We created the Herrmann Learning Innovation Award to recognize these breakthroughs. 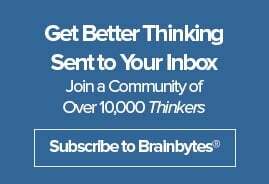 Since 2004, we’ve given the award to clients like IBM and Microsoft, who have taken Whole Brain® Thinking and the HBDI® to new heights in pursuit of better thinking for their organizations. This year, we’re pleased to announce that the Herrmann Learning Innovation Award will be going to PricewaterhouseCoopers (PwC). DeAnne Aussem Leader of PwC’s US Leadership Coaching Center of Excellence (LC CoE) will be accepting the award from Herrmann CEO Karim Nehdi on behalf of her organization. PwC is one of the largest professional services firms in the world, and it didn’t get there by accepting the status quo. Innovation is a core value for PwC, and that’s reflected throughout the organization — from client services to professional development. Whole Brain® Thinking has been a component of PwC’s leadership development initiatives for years, but the members of the PwC US Learning & Development (L&D) team weren’t 100% satisfied with the way they were teaching it. 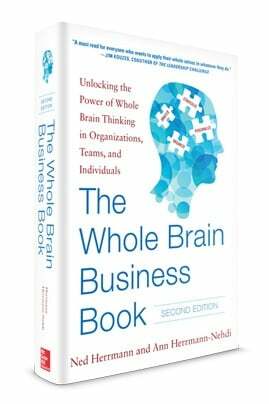 Because PwC only had a handful of Herrmann certified practitioners on staff and thousands of leaders to train, they had to communicate the concepts of Whole Brain® Thinking in large group settings, usually at large seminars. This approach was pretty effective, but it lacked in hands-on instruction and follow-through. It also didn’t give some people the feeling of personal impact they were seeking. So, when the PwC team was asked to develop a new training program for employees who were being promoted to manager roles, they recognized an opportunity to try out a new strategy for teaching Whole Brain® Thinking. This is how PwC built its Leadership Pathways program. The program’s goals are to teach employees about the challenges of management and prepare them with effective tools and strategies to overcome these challenges. The PwC team saw Whole Brain® Thinking and the HBDI® as components of the program’s strategy. Instead of using just a handful of certified practitioners, DeAnne had her LC CoE team, of more than 25 practitioners, take Herrmann’s certification workshop. With a four-fold increase in Herrmann practitioners, PwC was able to move Whole Brain® Thinking instruction out of the classroom and into intimate one-on-one coaching conversations. The Leadership Pathways program helped train a group of ~2,000 future managers per year since inception. For each, their training started with HBDI® assessments and briefing sessions to walk through their results. But that was the beginning — over the course of the next few months, PwC’s Herrmann certified practitioners checked in with their learners regularly via phone, video conference, and in-person meetings. In order to enable this multi-channel coaching approach and meet the demand across their organization, PwC leveraged Herrmann’s digital offerings — the HBDI® App and HBDI® Digital Profile — to streamline practices and help to scale operations. Leadership Pathways represents one of the most ambitious, digitally-enabled applications of Whole Brain® Thinking concepts in Herrmann history. Now, when these managers meet their teams, they come to the table with an understanding of how employees think and how that affects strategic outcomes. Using what they learned from the Leadership Pathways program, managers can improve communication with team members and clients. The Leadership Pathways program launched in 2016 and is about to begin its third year. For the managers who already completed the program, the results are significant. Managers report more confidence building relationships with diverse stakeholders, quicker assimilation to their new roles, and improved team-building efforts. Managers also show a greater understanding of how to leverage their enhanced thinking agility to balance the strategic, tactical, and relational priorities they juggle. Over the last two years, other divisions of PwC have seen what the Leadership Pathways program has accomplished and are creating versions of it for their own staffs. For example, PwC’s Internal Firm Services New Manager program took the Leadership Pathways approach and tailored it to suit their specific needs, and is now reporting similar results. For PwC, the success of Leadership Pathways is proof of the transformative impact Whole Brain® Thinking can have at scale, and of the role of Herrmann’s digital offerings in achieving benefits. PwC leaders are looking forward to collaborating with Herrmann on new digital tools for entry level and mid level associates to give an even greater portion of the organization the opportunity to improve thinking agility and collaboration with colleagues — and ultimately extending the value to clients. Congratulations to the PwC L&D team on their achievements in expanding the applications of the Whole Brain® Thinking methodology. We look forward to seeing what they do next!